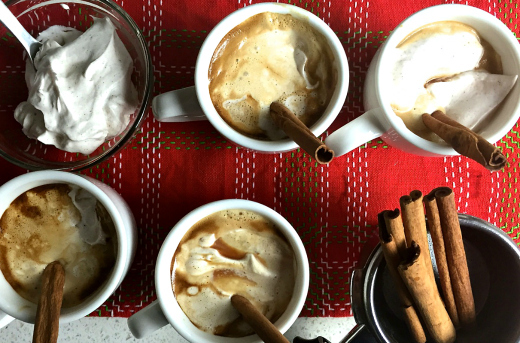 I have a sweet and very special recipe for you today as part of our Brunch Series. This browned butter sweet potato walnut bread is a moist, spiced and perfectly crumbly bread that will be perfect with a cup of coffee. 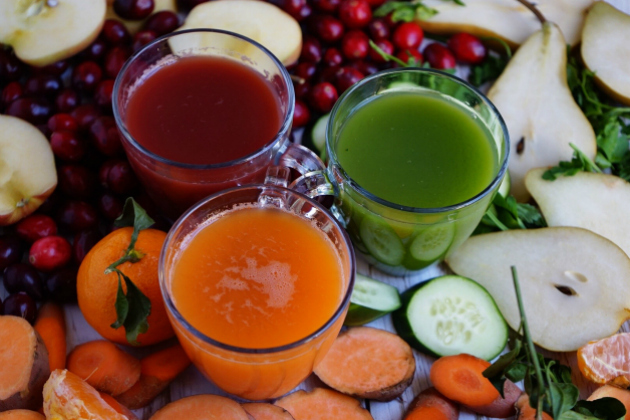 This makes it a great addition to any fall brunch. There are so many things that make this bread special. From the use of nutty brown butter in the batter to the addition of walnuts for crunch in every slice, it’s full of surprises. But the real reason why I love it so much is the use of sweet potatoes. I think sweet potatoes are widely underused in the fall as pumpkin and apples cloud the air. In this bread, sweet potatoes shine along with the warm spices of cinnamon and nutmeg. To make this bread, I love using homemade sweet potato purée. I know you can get it in a can, but it’s so easy to make at home. Start by peeling two medium sweet potatoes. Then, in the 1.5-Quart Saucepan from the KitchenAid® Stainless Steel 10-Piece Set, bring the sweet potatoes to a boil over medium heat on the cooktop of the Electric Convection Slide-In Range. Cook the sweet potatoes until they are soft when poked with a fork. Drain the water and mash the sweet potatoes. You will need 1 cup of the purée for the bread. Another great ingredient in this sweet bread is browned butter. I love using browned butter in baked goods, from cookies to buttercream frosting. 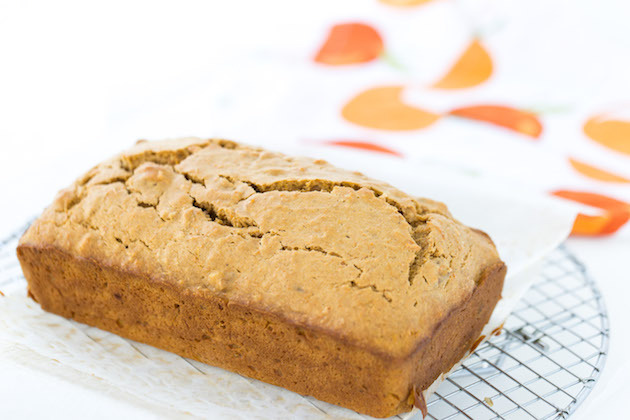 It adds a great nutty flavor to the recipe as it does in this sweet potato bread. To make the brown butter, simply melt butter in a small saucepan. When melted, whisk constantly, and cook until the butter starts browning. The bread is easy to make from here. In a medium bowl, whisk together flour, baking powder, cinnamon, nutmeg, cloves and salt. In a separate large bowl, whisk together the sweet potato purée, sugar, eggs, and the cooled brown butter. Mix until smooth, then add in the flour mixture and mix until just combined. Stir until smooth and transfer the batter into a greased and lined KitchenAid® Loaf Pan, which makes perfectly browned crust with a fluffy center. It’s essential to bake the bread slowly and evenly. That’s why I love the Even-Heat™ True Convection on my Electric Convection Slide-In Range. It bakes cakes, breads and baked goods with Even-Heat™ technology, essential for this perfectly domed bread. Let the bread cool in the Loaf Pan on a cooling rack. When cool, lift off from the Loaf Pan with the parchment overhangs and serve slightly warm. You can add a spiced glaze to the bread, which I think would be a great idea. And just like that, you have a Browned Butter Sweet Potato Walnut Bread recipe on the table! I cannot wait for you to try this recipe for yourself. Share your take on this Browned Butter Sweet Potato Walnut Bread recipe on Instagram using #MadeWithKitchenAid for a chance to be featured. 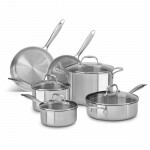 In the 1.5-Quart Saucepan from the KitchenAid® Stainless Steel 10-Piece Set, bring the sweet potatoes to a boil. Cook until soft, then drain the water from the potatoes. Mash up the sweet potatoes. You should have about 1 cup. Let cool. 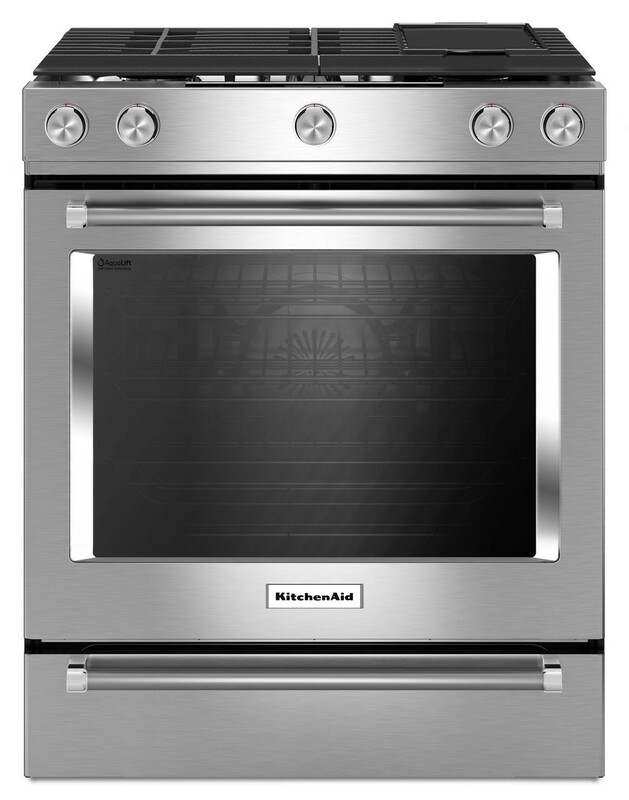 Preheat a KitchenAid® Electric Convection Slide-In Range to 350°F. 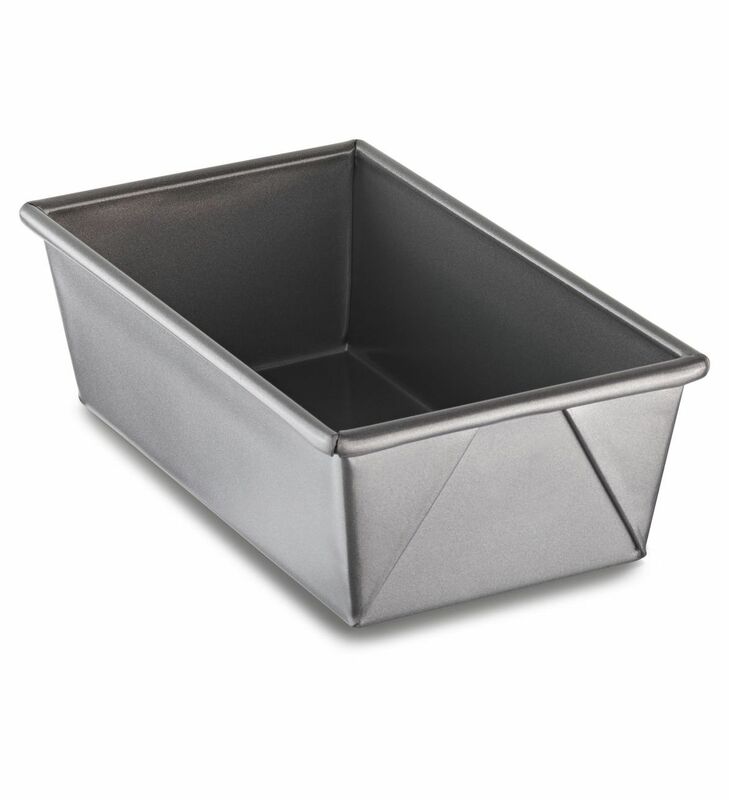 Grease a KitchenAid® Loaf Pan. Line the pan with parchment with overhangs and grease the parchment. In a 3.0-Quart Saucepan from the Stainless Steel 10-Piece Set, melt butter over medium-low heat until the butter starts to foam. Whisking constantly, cook the butter until it turns golden brown and brown bits form at the bottom of the pan. Transfer the butter to a bowl and let cool slightly. In a medium bowl, whisk together flour, baking powder, cinnamon, nutmeg, cloves and salt. 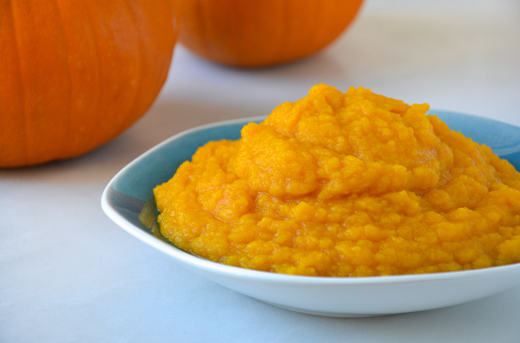 In a separate large bowl, whisk together the sweet potato purée, sugar, eggs, and the cooled brown butter. Mix until smooth. Add in the flour mixture and mix until just combined. Pour the batter into a prepared Loaf Pan and smooth the top with a spatula. Place the Loaf Pan on a baking sheet and bake until a toothpick inserted into the center comes out clean, about 40-45 minutes. Transfer the Loaf Pan to a wire rack and let cool for 15 minutes. Remove the bread from the Loaf Pan by lifting the overhangs and let cool on the wire rack completely.